for aging, for not……. (you fill in the blank). is a Divine instrument that houses your soul; it's a physical expression of Divine Creation. to do mental clean up work. through learning how to shift and mold energy. In Mystical Empress Quantum Life Coaching, we come to learn that everything starts and ends as energy. realm. 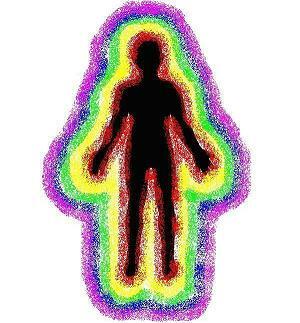 Every body imbalance begins in the energy realm before we ever experience the first symptom. a path of desired outcome. No need to wait for the full manifestation. way to define it in human terms is by emotional tone. Good feelings engender flowing, "positive"
energy that manifests as undesirable outcomes. will occur, and you can work backwards at interpretation. appreciation, love, & optimism match the higher vibrations of well-being. fantastic? Dis-ease is usually the culmination of a long standing resistant vibrational mix. is discovered, you will need to shift to a more positive perspective. Psychic, Life Coach, Astologer and Feng Shui expert, Brenda Renee' is passionate about living life to the fullest and bridging the gap between people and their deepest dreams. She's spent many years learning, processing and applying Spirituality, Law of Attraction and Quantum Physics in hopes of sharing her insights with readers, students and clients alike. In her writings, she seeks to communicate in a light-hearted, yet concise way, that is understandable to a wide audience.